The GST Council in its 22nd Meeting decided to suspend the Reverse Charge Mechanism (RCM) in case of purchases by a Registered Dealer from an Unregistered Dealer u/s 9 (4) of the GST Act. In this matter, the government has issued notification no. 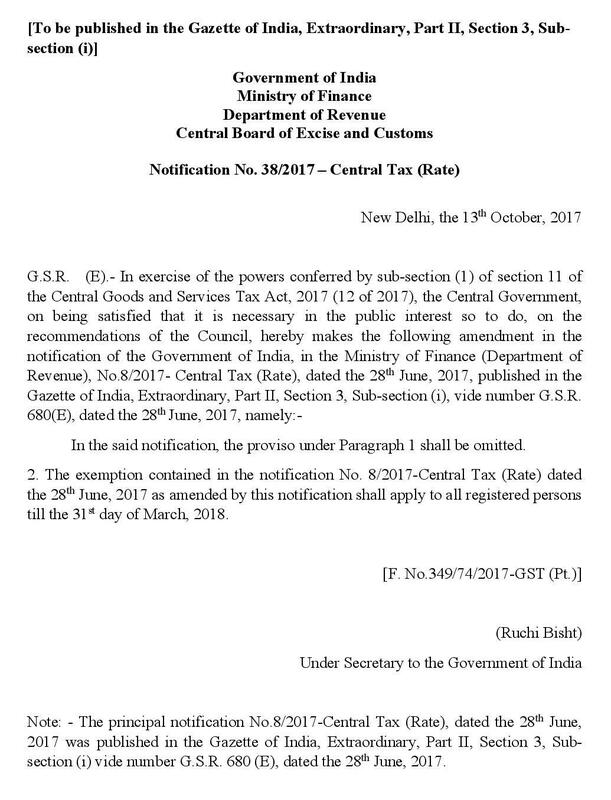 38/2017 – Central Tax (Rate) dated 13-10-2017 by removing the proviso from Notification No. 08/2017 dated 28-06-2017, that restricted the exemption from RCM under section 9(4) upto a limit of Rs. 5000/- per day for Intra State Supply of Goods or Services received by a Registered Person from an Unregistered Person. After this notification w.e.f. 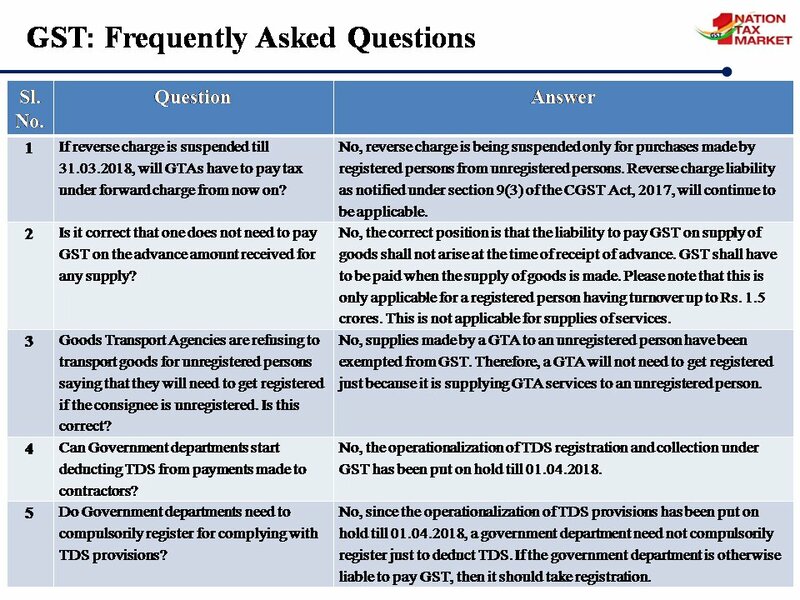 13-10-2017 till 31-03-2018, a registered person can take INTRA STATE supplies of goods and services from Unregistered Person without any daily ceiling. Prior to 13-10-2017, a registered person was permitted to take supplies from unregistered person upto a ceiling of Rs. 5000/- per day in case of Intra State Supplies. 2. In case of receipt of supply of Services from Unregistered Dealers in case of Inter State Supply of Services, the exemption from RCM u/s 9(4) shall not apply. The Views expressed on this blog are strictly personal and for knowledge of our clients only. The contents of this blog are solely for informational purpose and it does not constitute any professional advice or recommendation. The laws related to GST and other taxes are under evolution and subject to constant changes and amendments over time. It is suggested to take specific legal advice and necessary due diligence before relying on the contents and information of this Blog. The authors of this blog, does not accept any liabilities for any loss or damage of any kind arising out of information on this blog and for any actions taken in reliance thereon.